Chambers & Valves: new reduction-cut lino print. 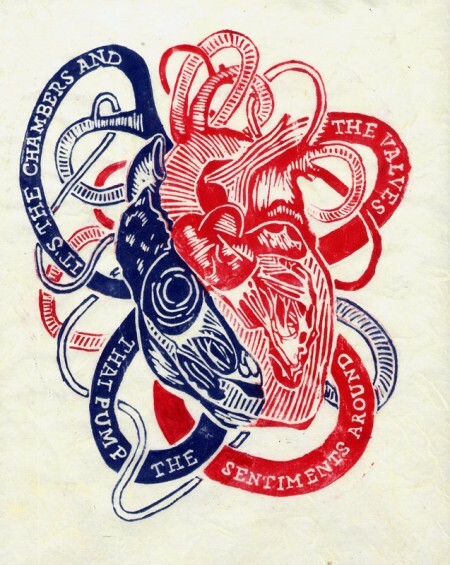 Two-colour lino print of heart and valves commissioned as a gift. The text is based on a song of the same name by Dry The River which has sentimental significance to the client and her partner.